Here’s feedback from people who have used Inspect A Home’s services. In every instance, they have benefited from their property inspections. Thanks again for your exceptional work. I really appreciate your expertise and dedicated approach. I’ll keep you as my go to inspection guy and I’ll be sure to recommend you to anyone making a purchase. Many thanks for coming to do the inspection on Wednesday afternoon. Your report has been a great help and I have taken all that has been said into consideration and will advise the agent soon. 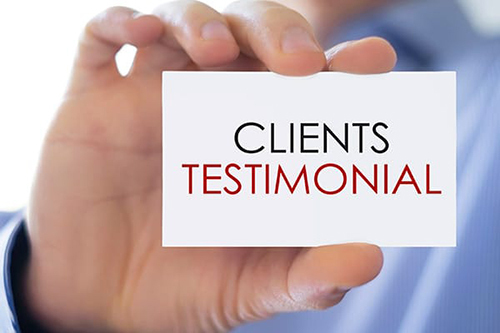 The way you and your wife handled my prior queries, the inspection and subsequent report was top notch and I will definitely recommend your services to anyone who is in need of it. Thank you for our report! We are most impressed with it and feel it was money worth spending! Every single person I have spoken to has had nothing but amazing reviews of your service! So you can add that to the list if compliments. I have spoken to Echard personally and would like to tell you what I told him. It is many years since I have seen such a well-written, comprehensive and professional report – an outstanding piece of work for which Gundi and I are most grateful. Was very impressed with the service. It was quick to arrange and once the inspection was complete, the report came through quickly as well. The report was very detailed and I was very impressed with the quality of it. Furthermore the fact that they suggest ways to rectify defects is a great way to know what you are getting yourself into. Thanks for the comprehensive report it makes us wonder why these are not mandatory inspections required to sell a house much like an electrical compliance certificate. I will be in touch early next year when we are looking for another investment property. Thank you for sending this today, much appreciated. Great report and you have identified several things we did not know about, which we can look at in the future. We are very pleased with the results. Thanks again for completing this report so quickly. Hi, Thank you for the report. This is the best R3,500 I have spent in a long time! Thank you for a prompt response to my request for assistance, as well a thorough, and well documented post inspection report. Thank you very much for acting as mediator between ourselves and our builder when communication had broken down. You conducted each session with fair judgement and calm confidence which was much appreciated! Your educated input directly influenced the positive outcome of the dispute. The report you compiled, once you had completed your thorough inspection, proved to be invaluable in our dealings with the builder and then later, the lawyers. I would like to express my gratitude to Inspect-A-Home for services rendered in assistance to resolve an issue with my builder. In my opinion the quality of workmanship was inferior while the contractor maintained they had delivered a high quality product. The subsequent dispute ended in stalemate with both parties pursuing legal action. A comprehensive report from Inspect-A-Home quickly dissolved the arrogance of the contractor and they agreed to make good all items to my satisfaction. I can recommend the services of Inspect-A-Home to ensure that contractors deliver product that adheres to good governance. We have been fortunate to make many sales through these tough economic times as we provide a completion certificate to all clients both proving that Inspect-a-Home has inspected the home from concept to completion, doing weekly inspections, and pre and final snag lists prior to the owner taking occupation. We have made use of Inspect-A-Home in dispute resolution which occurs from time to time in the building of luxury homes and they have given unbiased expert opinions to clients and often acted in a mediation position when resolution cannot be obtained. Our quality of work as developers has vastly improved through the use of these weekly inspections and we owe this to the fact that we have a “Watch Dog” on site continually checking on the work. The certificate received on completion of a home is extremely useful for clients to offer to estate agents in the event of reselling their properties. The collaboration of a final snag list on homes on behalf of clients is of great benefit to us as developers as the snag list reflects one of a fair nature and one of acceptable snags in terms of our industry standards. Thank you so much for the outstanding report that you have compiled. I have just scanned the report and I can tell you that it is brilliant! I am glad that I listened to my wife because I thought that your inspection services were too expensive. But now if I look at the quality of the report I realise that you can actually charge more. I am impressed and I will ask my neighbour and other people to make use of your professional services. I wanted to let you know my wife and I were very impressed with our home inspection conducted by you. My wife and I have bought several properties around the world over the years and we always insist on a full home inspection. Your home inspection report was one of the most thorough, professional, timely and easy to understand reports we have ever received. Your insight into the positive attributes and critical deficiencies of the property has ensured we are fully informed about major issues regarding our potential purchase of the property in Hout Bay. Thanks again for the professional report and critical information provided which will allow us to make an informed decision regarding the above mentioned property. The aim of MSP Developments is to develop superior-quality buildings and therefore to create more investment opportunities. To this end we used the professional services of Inspect-A-Home/Inspect-A-Building to do an inspection on our recently completed head office in Tygerfalls. After a brief to the inspector and acceptance of his reasonable quotation he started promptly with the detailed inspection of our building. It was a pleasure to see him doing his inspection to the finest detail with the necessary identification per area, recommendation, research and pictures. I was impressed with his professionalism and his systematic way of compiling his report for easy reference. We believe the combination of his professionalism and his report as a tool to finish our offices to the highest standard, was good value for money. I just want to thank you so very much for carrying out your inspection at my house in Kloof. It appears that you were very thorough and I appreciate the time that you spent there. I am very happy with your report and extremely impressed with the high resolution pictures that you took. I can’t tell you how useful this report will be for us as we are now able to pinpoint which areas require our immediate attention and have the knowledge of how to go about carrying out the repairs etc. I can’t wait to go in and get everything sorted so we can move into our first family home. Thanks once again for your assistance and for giving us peace of mind. I am a conveyancing paralegal and have seen so many disappointed purchasers in my 10 years of registering properties – it is such a nightmare when buyers discover major hidden defects just before the transfer is registered in their names (or even worse, after registration is effected!) I would recommend Inspect-A-Home to anyone who is thinking of buying a home – it is SO worth every cent!! Very informative and professional. From my first phone call to Inspect-a-Home, to receiving my final report. The inspector was very polite and friendly, and took the time out to explain certain details during his inspection. The inspection was very quick and I was wondering how he could really be inspecting the property properly. Upon receiving my report, I was pleasantly surprised, as items I never thought had even been looked at were mentioned. The details of the problem areas, along with photos made the identifying of the problem areas very simple. If you are thinking of building or buying, I would recommend using Inspect-a-Home to give you peace of mind that you are not wasting your hard earned money on a building that is riddled with problems you may not have noticed. An all round pleasant experience, and a job very well done! Your service is the best value for money in the world of property. A compelling report by an obvious expert saved us making a big purchasing mistake. Confronted with the Inspect-A-Home report the selling agents were lost for words and the sellers reduced their asking price by R250,000.00. In all my years I seldom encountered a more attractive proposition than one of your inspections and reports. Thank-you for your report, I am very impressed with it and really like the fact that you have offered suggestions on how to repair the snags as well as the estimated costs. I am sure we will have use for your company again in the future. Although, I have purchased a number of residential and investment properties over the past few years, I have never previously used a home inspection company. In this regard, I am truly impressed with the services provided by your company and have already recommended your firm to a number of colleagues and family. In my case, I agreed to purchase a house subject to a home inspection report. The inspection identified a damp problem with the house and the quote I have received indicated that this would cost R93,000.00 to remedy. This cost is being paid in full by the seller, which means that I have recouped the cost of the initial report many times over! It is also worth mentioning the exceptional level of service, expert knowledge and professionalism displayed by the Inspector. We have used Inspect-a-Home three times and each time have received superb service. Your inspectors have always been very knowledgeable, thorough, professional, available to explain issues, efficient, and unfailingly patient and polite. If you are buying a home or need to evaluate or monitor renovations, the expertise of Inspect-a-Home is absolutely essential. Their inspection and report can save a buyer or owner hundreds times the cost of the inspection. We have recommended Inspect-a-Home many times and will continue to do so. I was impressed by the friendly, efficient service and willing attitude from Inspect-a-Home. The pre-purchase report was comprehensive and revealed important defects that our untrained eyes could not see. I would highly recommend inspect-a-home to inexperienced property buyers like myself. We now have invaluable bargaining power with the seller. Your inspector was always a phone call away (even after-hours) willing to give advice and assist where ever we needed him. I believe this is what makes Inspect-A-Home such a huge success and a “life safer” for the unknowing first time builder like us at Terenure villas. Thanks for the service Inspect a Home offers. I will recommend Inspect-a-Home to any buyer or owner builder.